Don’t Delay, Sign Up Today - Online! Thank You Birkie Trail Friends! Adopt your own share of the Birkie Trail! Take pride in knowing you are personally adopting 1 kilometer of a World-Famous Trail! 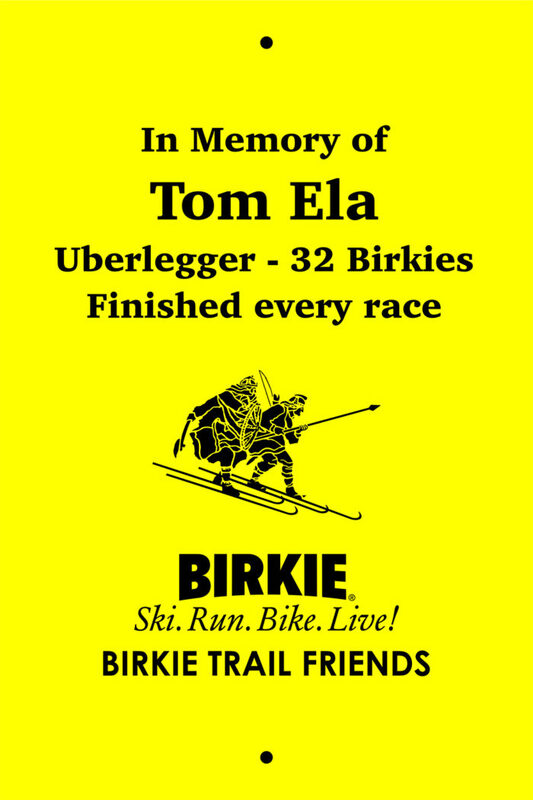 Whether you ski, bike, run or hike the Birkie Trail, your sponsorship as a Birkie Trail Friend is an integral element in our collective work to develop and maintain the World Class Birkie Trail system. 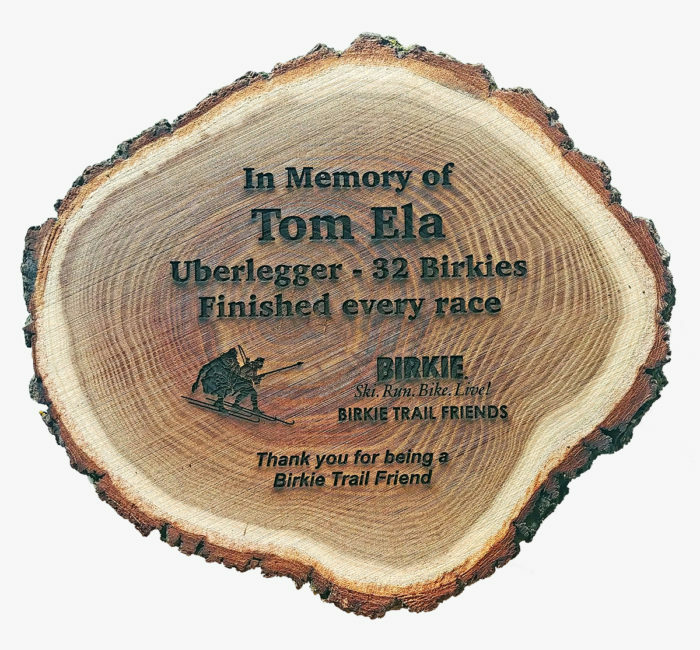 The Birkie Trail Friend program also gives you the chance to memorialize or honor someone special to you or your family by sponsoring 1 Kilometer of the Birkebeiner Trail for 3 years. 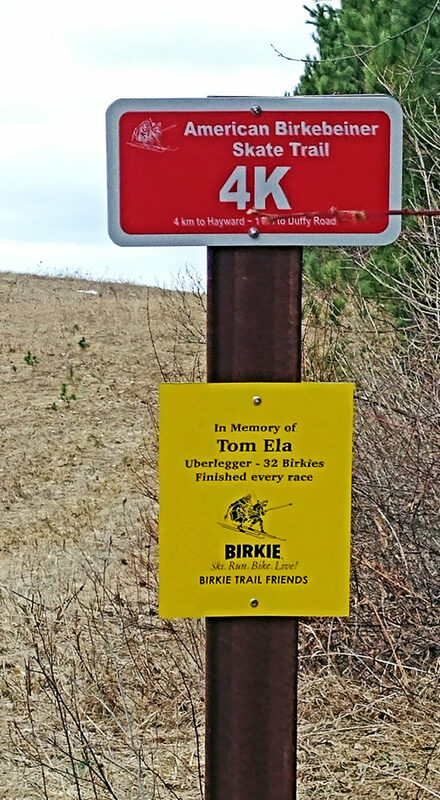 The improved Birkie Trail Friends Program now features all new kilometer signs and posts for the Classic and Skating trails. Also, new, the K markers countdown from the Great Hall Trail Head starting line to downtown Hayward. So, racers and trail users will know exactly how far they have to finish! As a Birkie Trail Friend, you help pay for the costs of maintaining the trail as you “adopt your K” and if you choose to, you can monitor and keep the trail clear of natural and people made liter. Show thousands of people you care by “adopting a K” and being a Birkie Trail Friend! 100% of your tax-deductible sponsorship is used to support the Birkie Trail. Email audun.mikkelson@birkie.com with any questions. You select a K marker to sponsor for 3 years. You will be recognized with two 8″ x 10″ signs at the K marker of your choice. There are K markers available on the Birkie, Classic and Birkie Ridge trails. Trail markers are $500, $300 or $200 per year. There is a 3-year sponsorship commitment that can be paid annually by January 15 of each year or, all at once. 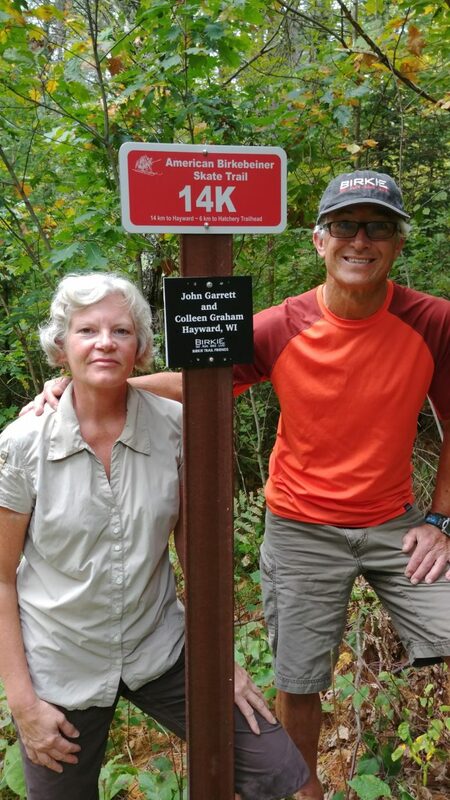 Share your Birkie Trail Friends K marker story. Email audun.mikkelson@birkie.com.